Think of each block as a self-contained piece of content. The content itself can be just about anything. Currently there are blocks for items such as images, headings and text. But developers can also create their own custom block types. This allows for a greater level of personalization on a per-site basis. The advantage of this is approach is that you can edit and reorder blocks without affecting the surrounding content. It boosts the ability to mix various types of media within a page. This solves one of the key limitations designers experienced with the Classic editor. Plus, the Block API ensures that new blocks are tightly integrated into the UI. This should make for a much more intuitive experience for content creators. Perhaps the biggest thing missing from the Classic editor was the ability to create multiple columns. While it seems like a no-brainer, this simple feature has eluded us – until now. 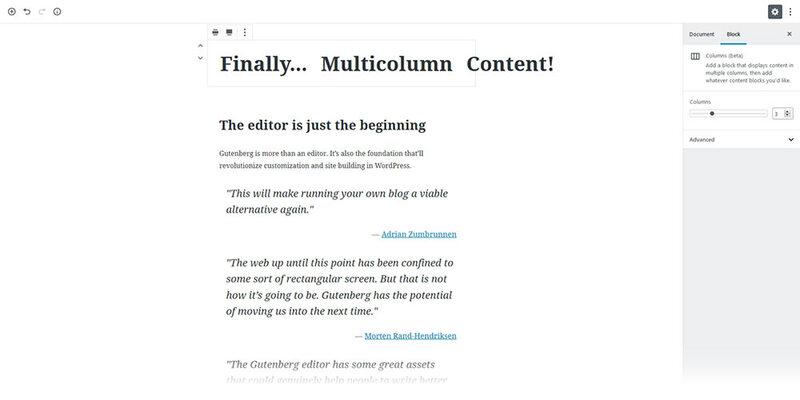 Thanks to Gutenberg’s Columns block, placing content side-by-side is easy. No need for delicate code hacks. Instead, select the number of columns you need and start creating. It should be noted, however, that this feature isn’t ideal for full-page layouts. Complex grid systems aren’t included in the block type. Thus, you’re relegated to a simple row of columns. It’s perfect for a multicolumn section of content, but not meant for much else. 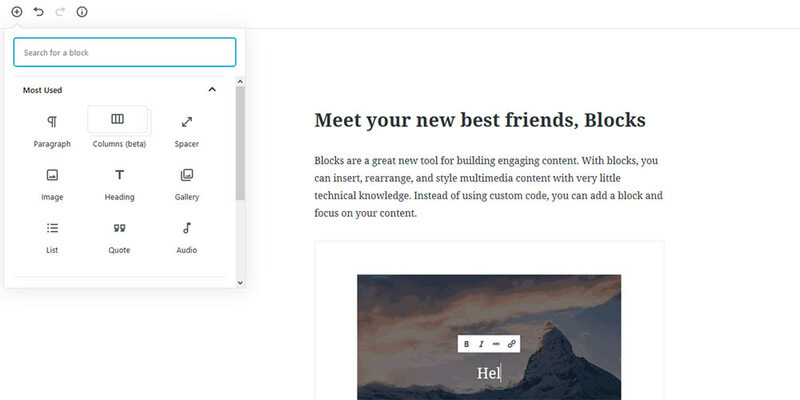 Gutenberg is a huge leap forward from the Classic editor. Its stock install provides a better way to accomplish simple content creation tasks. And the potential for extending the editor is huge. But that doesn’t mean page builders are a thing of the past just yet. Whereas Gutenberg is meant to enhance the basics, page builders are there to handle the more difficult jobs. For one, the ability to create complicated page layouts sets them apart. But there are other practical reasons to keep your page builder around. Some page builder plugins are easy to deactivate, others not so much. 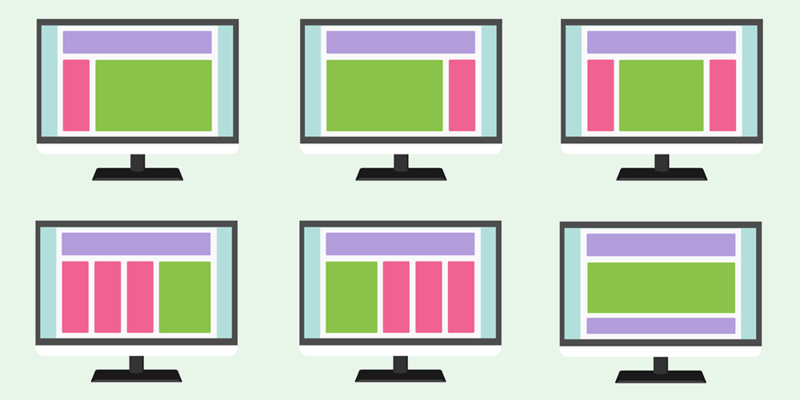 Depending on the specific tool you’re using, you could lose your layout and formatting. Before you even think about switching to Gutenberg, check your page builder’s documentation for details. Just as problematic is the possibility of refactoring your content for Gutenberg. Smaller sites may not be so difficult. But a content-heavy site could require a lot of work. Plus, you may need to tweak your theme for full compatibility. Finally, note that your theme may be tightly integrated with (or even require) the use of a page builder. This might be the deciding factor to stay put. What’s one thing many page builders have that Gutenberg does not? A codebase that has been around for a while. This gives you the advantage of knowing that the tool you’re using is compatible with your site. One of the concerns that comes with Gutenberg are potential conflicts with plugins and themes. While it’s fairly safe to assume that well-maintained products will work, outdated items may not. If you rely on something that hasn’t been recently updated, Gutenberg might not be an option. As we mentioned above, Gutenberg is very extensible. But because it’s new, there isn’t a huge library of custom blocks to choose from. That means page builder features you’re currently using may not have a Gutenberg equivalent. While that could change in the future, it isn’t the case here in the early going. 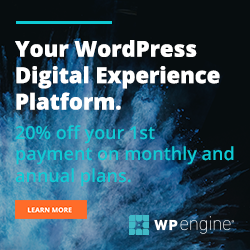 With Gutenberg poised to become the default WordPress editor, it’s worth your time to dive in and experiment. While it’s not perfect, there are a number of things it does quite well. It’s a tool that will give the average user much more control over their content. 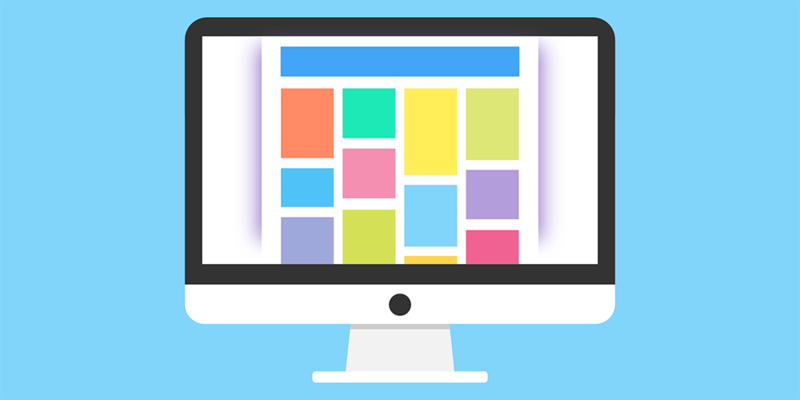 But for existing sites that use a page builder, you may be better off staying the course. That is, unless you’re prepared to do a lot of testing. Switching won’t likely be an easy process. Where Gutenberg seems more of a viable option is with newly built websites. In the past, page builders have often been used to cover the shortcomings of the Classic editor. Now, there are more compelling reasons for using the default editor. In that case, page builders could still be the better choice. For example, situations where you need to build complex layouts on multiple pages still favor these plugins. Or if you need specific features that Gutenberg can’t yet match. It’s doubtful we’ll see the end of page builders anytime soon. But, as the library of available blocks expands, Gutenberg may become an even more realistic choice. It wouldn’t be a surprise to see the WordPress community make a positive impact here. More layouts and page-builder-like functionality could be on the horizon. The end result is that designers will have more viable, high-quality options than ever before. Can Gutenberg successfully replace page builders? Share your thoughts below.